Excerpts from The Deccan Chronicle. 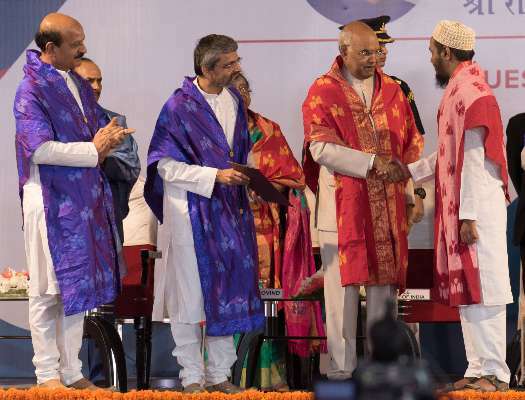 The Indian Institute of Technology Hyderabad (IITH) celebrated its 7th convocation on Sunday with President Ramnath Kovind as Chief Guest and Governor E. S. L. Narasimhan, as Guest of Honour. This year a total of 566 students graduated from the campus with flying colours. Out of these, there are 435 boys and 131 girls. Four gold medals were given to the students for their academic excellence for the class of 2018. Mr Ibrahim Dalal, B.Tech, secured the President of India Gold Medal.